*This graphic was published by Gartner, Inc. as a part of a larger research document and should be evaluated in the context of the entire document. The Gartner document is available upon request from Bitglass. Navigating the Cloud Access Security Broker (CASB) landscape can be quite an undertaking. With so many vendors, how do you find the right solution for your organization? In this Gartner report, you’ll discover valuable insights from real CASB customers that will help you streamline the vendor selection process and make better shortlisting decisions. Download the Gartner report to access the peer review data you need to make the right purchase decision! *As of 31 Dec 2018, Bitglass has an Overall Rating of 4.8 out of 5 in the CASB market, based on 34 reviews. 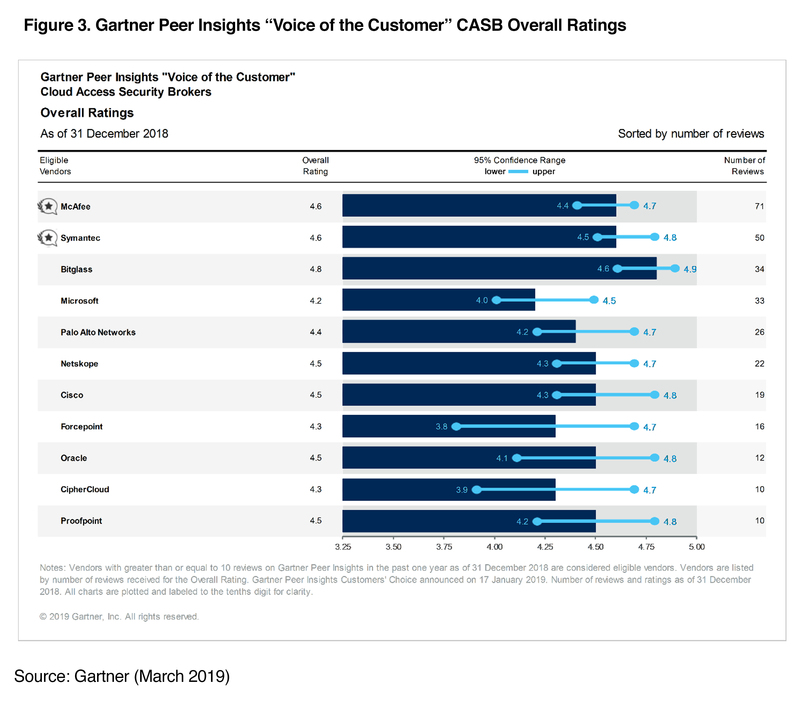 Gartner Peer Insights ‘Voice of the Customer’: Cloud Access Security Brokers, 7 March 2019. Gartner Peer Insights reviews constitute the subjective opinions of individual end users based on their own experiences, and do not represent the views of Gartner or its affiliates.